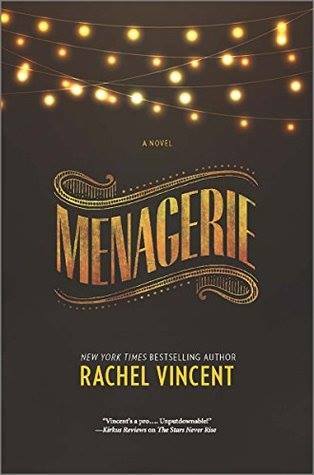 Rachel Vincent, author of MENAGERIE, was kind enough to answer some questions about her latest book and more! Be sure and check out the giveaway of MENAGERIE as well! Rachel- how involved were you with the cover of MENAGERIE? I must say how striking it is- it almost reminds me of THE NIGHT CIRCUS in some ways- both covers are compelling and hint at something mysterious about the story. Truthfully, I had very little to do with the cover. It’s actually the sixth different art concept for this book, and I only saw the first of the previous four, which I loved. But it had a much more “genre” look, which my publisher felt would limit its appeal to a genre audience. Don’t get me wrong; we love the genre audience! I am the genre audience. But the goal was to open up my readership with a cover than any reader might pick up. So they went back to the drawing board for several more concepts and settled on one with a more sophisticated, mysterious look. And I love it! I noticed when checking out your Goodreads page that you are reminding readers that MENAGERIE is not a YA book. Can you elaborate on why you are doing this? Two reasons. One of my pet peeves is incorrect information that goes uncorrected. I kept seeing people referring to MENAGERIE as YA, and it isn’t YA, so I’ve tried to make a polite correction. The second reason is a little more complicated. I think that MENAGERIE is absolutely fine for the older end of the YA audience. Sixteen and up, or so. I’m letting my fifteen-year-old daughter read it, because I believe in discussion, rather than censorship. But kids tend to “read up,” and I don’t want twelve-year-olds picking up a copy of MENAGERIE expecting a story aimed at kids just a couple of years older than they are. If teens want to read the book, that’s fine with me. I think there are a lot of good discussions that could come of it. But they should know going in that it is a book geared toward adults. 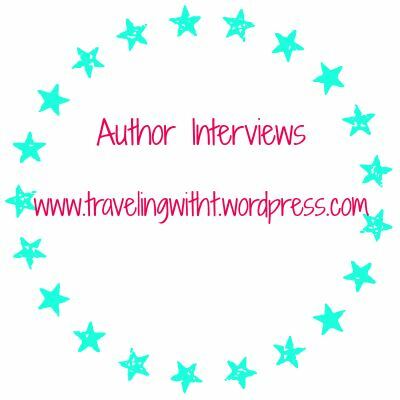 How did the idea for MENAGERIE come to you? Are you a fan of circuses? Years ago, now, I’d been watching the show Carnivale and I’d recently seen the movie version of Water for Elephants. The tone of Carnivale spoke to me, but the animal cruelty in Water For Elephants was disturbing. Being a fantasy writer, my first thought was, “Would those animal acts be treated the same if they were sentient?” In my head, I saw so many possible parallels in the fantasy world that I couldn’t believe I hadn’t seen that done before. (And maybe it had, been, but I hadn’t seen it.) Centaurs instead of horses in the equestrian acts. Shifters instead of lions jumping through hoops, which would be lit on fire by the draco. Instead of elephants hauling wagons and raising tents, there could be a minotaur. But the story didn’t truly begin to come together until I began imagining the kind of world that would consider it okay to keep sentient creatures in chains and cages. And as horrible as it sounds, for inspiration in creating that world, I turned not to fantasy, but to our own human past. Historically, entire societies have been conquered and subjugated. Since the beginning of time, it seems, people all over the world have been looking for reasons to treat anyone considered “different” as “lesser.” It’s still happening. But writing about real issues in the guise of fantasy makes them more palatable for many readers. What is the scariest thing about publishing a book? Knowing that no matter how good the book is, no matter how much work you put into it, someone will hate it. Usually, someone very vocal. On a different but equally frustrating note, someone will misinterpret what you’ve written. And someone will just plain get the facts wrong. The more popular the book is, the more often those happen, and the truth is that it’s all normal. But it never gets any easier to accept. My most stressful moments are watching inaccurate information about one of my books propagate online, knowing I can’t say anything about it. What is a writing day like for you, Rachel? That depends on what kind of writing I’m doing. When I’m rough-drafting, I get up, take the kids to school, come home and nap until a decent hour (9:30ish), then get up and work. I write until I make my goal (3,000-5,000 words per day, depending on the book), but that writing time is broken up by lunch, going to the gym, volunteering at school, picking up middle school son, picking up high school daughter, taking kids to rehearsals, lessons, auditions, workshops, and performances. (Did I mention that my daughter plays two instruments and my son plays three?) My schedule’s kind of crazy, but things don’t really get stressful until rewrites and revisions. Those require longer periods of concentration, and my schedule makes that difficult. You have a quote on your website “I write about things that scare me, so they can scare you too.” What is something that you haven’t written about that scares you? What’s next, Rachel? More writing? Book tour? More writing—I have several more books under contract! And a little travel in support of Menagerie.